They say three of anything is a trend. Well, by my count, we’re at five. I’m talking about whiskeys with extra oak aging, particularly with the word “Black” added to the name. Crown Royal Black is, as you may expect, an added-oak version of the venerable Crown Royal Canadian whisky. In this case, “black” is no joke. It may very well be the darkest color whiskey I’ve ever encountered, a deep hazelnut color in the glass. The spirit in a full bottle is nearly opaque. This concerned me. Over-oaking is a serious risk in whiskey, and the worry of a ruined whisky was on the top of my mind. The good news is that Crown Royal Black isn’t too far gone. Yes, it is oaked to within an inch of its life, but Crown has taken it just to the edge — and brought it back again. The body is sweet like standard Crown Royal, but laced with intense oily wood notes, cinnamon, black pepper, and dried figs. Surprisingly mild for 90 proof, that wood character even overpowers the alcohol out of the spirit. Long and smoldering finish, like a campfire turning to ash. That, of course, has good and bad connotations. I expect CR Black may be too much whisky for many. Others will find it’s got a rustic, frontier character that also finds a bit of balance in its own odd way. RC is my favorite soda. There’s one store that sells it in SF. I just picked up two 12-packs last week! Not impressed with this offering at all. The dark color is very off-putting, almost phoney, like carmel coloring was added. I’ll take the regular bottling of CR over this and give me the Cask 16 for a real treat. C- for me. I’m a CR lover, but this taste like the bottom of the sludge heap. I will stay with the original, after enduring this gunk of a bottle. Some things should be left alone, & this is one of them. Taste more like cheap whiskey, just too strong to appreicate the real quality. I’m a big fan of Crown Royal Reserve (my go-to drink of choice most nights, although I have perhaps 50-60 other items on my bar) and I don’t mind the regular Crown Royal. I’ve had a taste of the XR and loved it but for the price it simply isn’t worth it (to me that is, perhaps if I had more money it would be my go-to rather than the Reserve). Regardless, when Crown Royal released this Black edition of their popular standard I was pretty excited and decided to give it a try. I can’t speak for everybody but I personally didn’t like this product. It was pretty dark, in fact perhaps the darkest whiskey I’ve seen, tasted pungent (though smooth, as are all Crown Royal products), and had a slightly sour finish as I recall. I ended up giving what was left of the bottle I bought to a friend of mine, who did like it (though not enough to buy another bottle). He is a pretty experienced drinker himself (Scotch more than Canadian whiskey) and said it was a fair whiskey but slightly expensive for what it was. Of course when buying any product you have to consider the alternatives that are available at the same price point and I must say, for the money I paid for my bottle there are a number of better choices (not the least of which is the standard Crown Royal). So there you have it, I didn’t like it though a friend did. I hope this helps. I first tasted crown royal black neat, and I was really disappointed. It wasn’t as elegant or smooth as regular CR. A few days later I decided to give it another shot on the rocks. The ice made a pretty big difference. The smoothness returned, the flavors mellowed a bit. Honestly it was quite enjoyable, though I don’t know that I’d buy it at full price. On sale, maybe. It would probably mix really well with cola if that’s your thing. I liked it with ginger ale but just a little too stout as a shot. If you don’t like it strait, I think it has its place in ginger ale. Just don’t ruin it with coke. I have to agree with others, that the original is smoother strait up. Had to try it and I must say that its pretty good! On the rocks and it really smooths out and I really like like it with just a touch of water, it really brings out the sweetness in it no doubt. 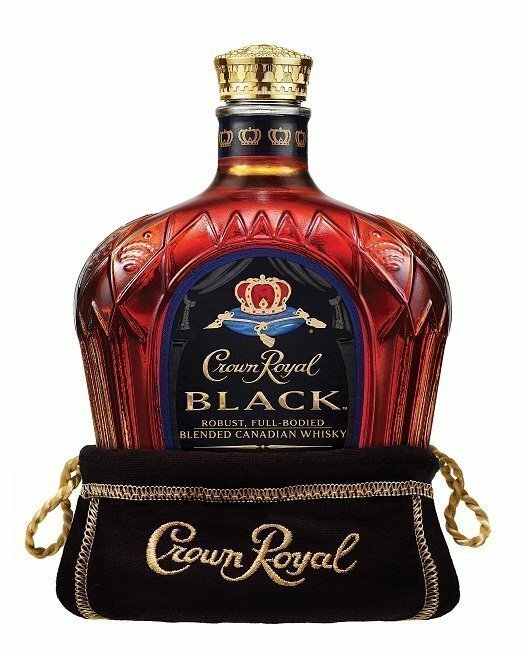 I like regular crown for day to day use, crown reserve for special occassions(so smooth) and I like the black when I want something a little moore stout. All in all its not to bad. Was excited but gotta admit, taste to me at least, like flat cola which I hate. I tried hard to like it too, wont turn it down, but will never buy it again after going through an entire bottle, and only started back on it after my scotch was gone. Regular crown blows it away. Flat cola, the end lol. Though most Canadian whisky drinkers I know swear by CR I personally never liked it much. A little too harsh with a lingering burn to me. I picked up this bottle to see if it was a fuller bolder flavor and surprise surprise it was. Much smoother than CR, the body was smooth and the color wasn’t off putting at all for me. Although I would not drink this neat, mixed or on the rocks worked very well for me and my associates. I have enjoyed crown products for over 30 years. but I do belive that BLACK is the best whiskey I have every tasted. Thank you crown royal for comming up with crown black. I have enjoyed crown products for over 30 years. but I do belive that BLACK is the best whiskey I have every tasted. Thank you crown royal for comming up with crown black. I drink my cown on the rocks most of the time. There is nothing better. The whiskey is GREAT !!!!! Believe me. I’m from Ukraine-Russia, so this is the best whiskey I have ever tasted and tried before. It’s way better than Jack Daniels, I’m talking about whiskeys, not VODKA. This was fallback for me tonight, and it was good the oak made me like it more than normal CR still wish I got me some bulliet rye. This stuff is great I drink nothing else when I can’t find it it makes me sad. Awesome stuff!!!!!! I can’t under what the haters are talking about this stuff is just plan GREAT!!!!!!!! When I can’t find it, itakes me sad!!! Great whiskey!!!!!!! Now it all I drink!!! I think the haters must be pussies! Greatest blended Canadian I’ve ever tasted. Great neat or on the rocks! Remember, this is a “sipping whiskey”! Meant to be rolled around the mouth and savored, like a fine wine! I’d love to try it at 100 proof!